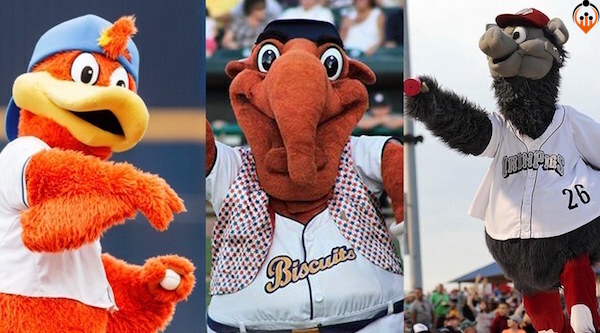 Steve’s breakdown: 6 MLB clubs announce new Triple-A affiliates so who’s going to come up with all the whacky, fun & wild marketing for those teams? You? The Mets’ Triple-A operation moves to Syracuse, N.Y., which will provide prospects with a much better commute to the big leagues from the organization’s previous Triple-A home in Las Vegas. The Mets purchased the International League’s Syracuse Chiefs in 2017, but the Nationals still had one year remaining on its player-development contract with the team. The Chiefs will be rebranded as the Syracuse Mets in ’19 and play at the pitcher-friendly NBT Bank Stadium, giving the Mets three affiliates in the state of New York. The Rangers signed a four-year agreement with the Pacific Coast League’s Nashville Sounds, who were previously affiliated with the A’s from 2015-18. The Sounds are the Rangers’ third Triple-A affiliate in the last 37 years after Oklahoma City (1983-2010) and Round Rock (2011-18). They play at First Tennessee Park, which opened in ’15. The Las Vegas 51s will open the 2019 season with a new Major League affiliate and a brand new $150 million venue. Formerly a Mets affiliate, the 51s will now feature A’s prospects and will play at the new Las Vegas Ballpark in the Downtown Summerlin area next season. The move to Las Vegas brings the A’s Triple-A team closer to Oakland after four seasons in Nashville. The Nationals inked a two-year deal with the Fresno Grizzlies to make them the organization’s fourth Triple-A club since relocating to Washington in 2005. The Nats were affiliated with Syracuse for the last 10 seasons, but the franchise was purchased by the Mets in ’17. The move puts a lot of distance between Washington’s Triple-A team and its Double-A affiliate in Harrisburg, Pa., and D.C. The San Antonio Missions, formerly a Padres affiliate, are leaving the Double-A Texas League after more than a century and making the jump to the Triple-A Pacific Coast League with their two-year agreement with the Brewers. It marks a return for the Brewers to San Antonio, where they once had their Double-A team in 1972. The Brewers’ Rookie-level team in Helena, Mont., will relocate to the hitter-friendly Colorado Springs ballpark, the former home of Milwaukee’s Triple-A affiliate, while a new team in Amarillo, Texas, will replace San Antonio in the Texas League. After four years in Fresno, the Astros are moving their Triple-A team in-state by announcing a player-development contract with Triple-A Round Rock. Round Rock — owned by the family of Hall of Famer Nolan Ryan, now an executive advisor to the Astros — is located just 170 miles away from Houston. The Rangers were affiliated with Round Rock for the last eight seasons.